We've all been there before: You just ate at your favorite raw chicken food trailer in that shady part of town, and now you have to drive home at twice the posted speed limit so you can get to a toilet before it's too late. But is that enough of a reason to lead the police on a chase? For one man in Garden City, Utah, the answer is yes. Yes it was. The Herald-Journal reports that 39-year-old Jeffrey Laub went speeding through a canyon at 111 mph, leading a Utah Highway Patrol Trooper on what was described as an offroad Dukes of Hazzard-style pursuit, because he ate some food that upset his stomach and was trying to reach a toilet at the summit. Laub's excuse didn't fly with a judge, who sentenced him to seven days in jail after he was convicted of failure to stop at the command of a police officer, impaired driving, reckless driving, speeding and open container. “That is one of the worst stories I have ever heard,” 1st District Judge Thomas Willmore said Monday. 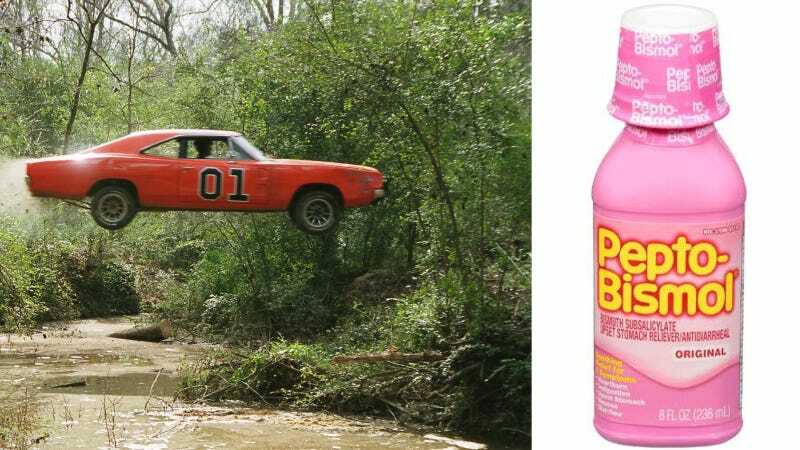 That's why you keep the Pepto-Bismol in your glovebox, dude.